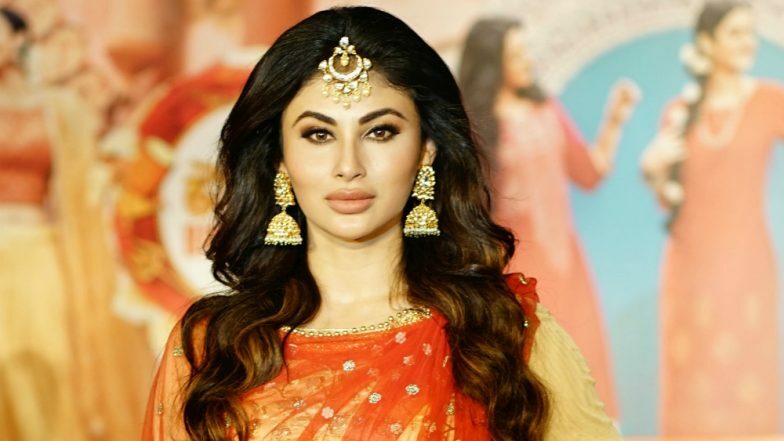 Mumbai, March 19: Actress Mouni Roy, who will be seen in the forthcoming film Romeo Akbar Walter, says the espionage thriller celebrates the unnoticed people who have sacrificed their lives for the love of their country. Romeo Akbar Walter is set against the backdrop of the India-Pakistan War of 1971. In the film, actor John Abraham plays the title role who works as an undercover agent for the Indian intelligence agency. Asked what made her join the cast of Romeo Akbar Walter, Mouni said: "I really liked the script of Romeo Akbar Walter. I remember when the film's director Robbie Grewal was narrating the story to me... in the middle of the narration, I realised that I wanted to be a part of this film. It's a very interesting story. It's about a man who gives up everything for his country. He sacrifices his name, family and love." Is Mouni Roy Getting Married in Italy? See Pics of 'Romeo Akbar Walter' Actress Doll Up in a Beautiful Wedding Gown (Watch Video). "This film celebrates those nameless people who go unnoticed and nobody even gets to know the amount of courage and sacrifice they displayed for the love of country." Talking about her character in the film, Mouni said: "I am playing the love interest of Romeo in the film. She is a simple girl who works in a bank." Mouni made her Hindi film debut with Akshay Kumar-starrer "Gold". She also has "Brahmastra" and "Made in China" in her kitty. "I guess it's always the instinct and the story. When I read scripts, I always see what is the story about and if it's an interesting story and if I want to be a part of the story then comes my character. "If I think that I have something to do or it challenges me or excites me as an actor, I agree to be a part of that project," she said.